Dawn Grace Kelly is New Zealand's most experienced Past Life Regression Practitioner and Trainer. ​Her teachings draw on over 25 years of professional practise knowledge. ​Are you curious about what you were up to in other lives, and why? Do you want to learn how to clear long held issues. For good? Do you want to support your friends, family and clients to do deeper personal growth work? Become a Certified Past Life Regressionist. ​Whether or not you desire or intend to become a professional Past Life Regressionist, you will gain from this workshop. You will learn to clear past life energies and gain a spiritual understanding of your present life. Past Life work is a powerful, transformational therapy that I have found profound both personally and professionally. I have been working in this field for over 2 decades now gaining a wealth of knowledge about this fascinating healing modality. It has brought deep, life changing healing into my own life as well as 100's of clients. At the end of this 3 day course you will be able to skillfully and effectively run a Past Life Regression session using the manual provided. A certificate will be issued after you've passed a written test. During this training period you will be able to experience as well as practise past life regression. This will allow you to clear your own and others past life issues. Past life regression can be an immensely powerful technique for clearing away many of life’s problems. The causes of many psychological problems such as phobias, fears, emotional over-reactions, self-sabotage, mental blocks to success and relationship issues can be traced to past life issues. Physical problems, pains, allergies, even some diseases can also be linked with past lives. By understanding these past issues and seeing how they relate to present day it is possible to detach from the energy of those other lives. When this happens the problems in our current life can be completely and permanently released. Past life regression is a highly effective process of self healing. The practitioner does not heal, but rather guides the subject to heal themselves. The techniques you will learn in this training can be of value to use for yourself and others for greater healing and freedom. $150 Non refundable deposit is required to secure your place. Dawn Grace Kelly has been in private practise as a Past Life Regressionist, Spiritual Healer and Energy Intuitive for 25 years and has taught Past Life Regression to Practitioner level for over 10 years. Dawn has also trained with the late Dolores Cannon. 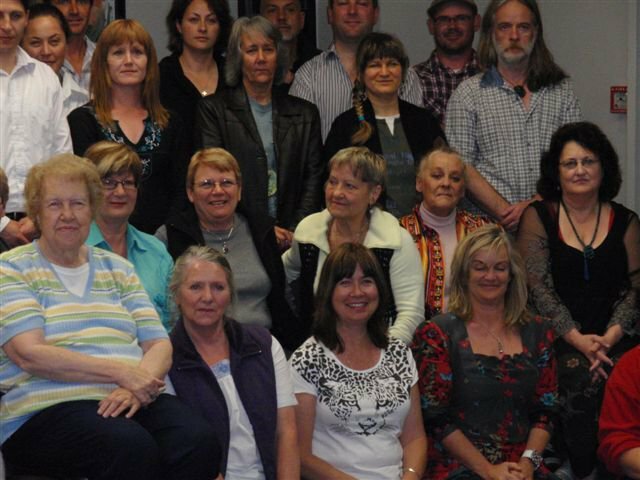 Completion of The Past Life Regression Foundation Course. 6 documented case studies. These studies must be on 6 different people who access a past life. A desire to extend your learning in this field. is desirable but not mandatory. Experience of at least 2 past life regressions on yourself post Foundation Course. To extend your learning with advanced skills to use with past life regression. To learn how to deal with challenges that may occur during the course of a past life regression. To prepare you for working professionally in this field. To supervise your ongoing case study work. Review and supervision of your case studies. Dealing with the challenges that may arise doing this work. Observation of a past life regression facilitated by Dawn. What you can and can’t leave out of a session. The seven major chakras and their relationship to this work. Experience of a group regression to another planet or dimension. Experience of a Brian Weiss group regression. During this course students will need to practise regressions in their own time to be discussed in class. There will be a self written exam towards the end of the course. Upon successful completion of this training a Past Life Regression Practitioner Certificate will be issued. ​Online sessions dates to be advised. An introduction into this transformative healing modality. You will experience a past life regression of your own within a group setting. Training with the incredible past life regression guru Dolores Cannon, now in spirit. That's me in the middle at the front.